Practical advice and step-by-step instructions for window dressingSuitable for both beginners and experienced curtain-makersStunning designs and inspiration for every room in your home Making curtains needn't be left to the professionals - with Easy to Make! Curtains & Blinds you, too, can create stylish window dressings for your home.Packed with all the basic know-how you need, Easy to Make! 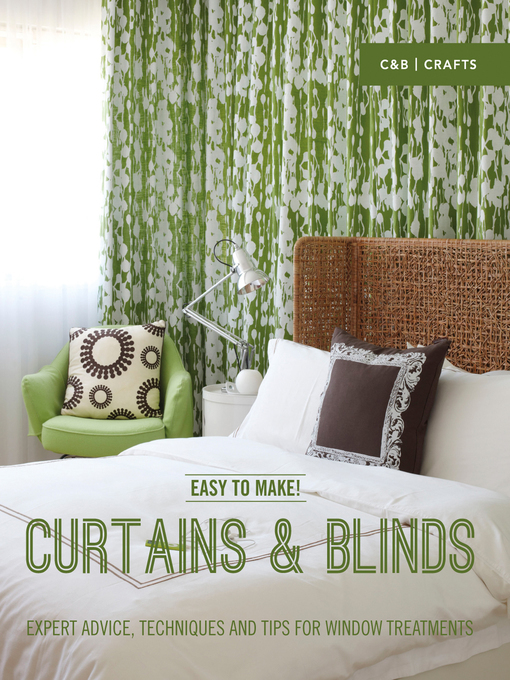 Curtains & Blinds reveals how to measure up your windows and do all the basic stitches and seams. There's a section on fabrics - from plain to luxurious - and fabric design to help you choose the right look for your room. Designs cover everything from unlined curtains to Roman blinds. With information on hanging and accessories you'll be armed with everything you need to know to dress your windows with confidence.